We act as credit brokers and we are not a lender. †Includes £1750 Deposit Allowance Paid By Manufacturer. *Excess mileage charge of 3.6p per mile. If you exceed this annual mileage then excess mileage charges will be applied by the finance provider at the end of the agreement should you choose to return the vehicle. Finance subject to status. A guarantee may be required. Terms and conditions apply. Unless otherwise stated, metallic paint at extra cost. Library image for illustration purposes only. 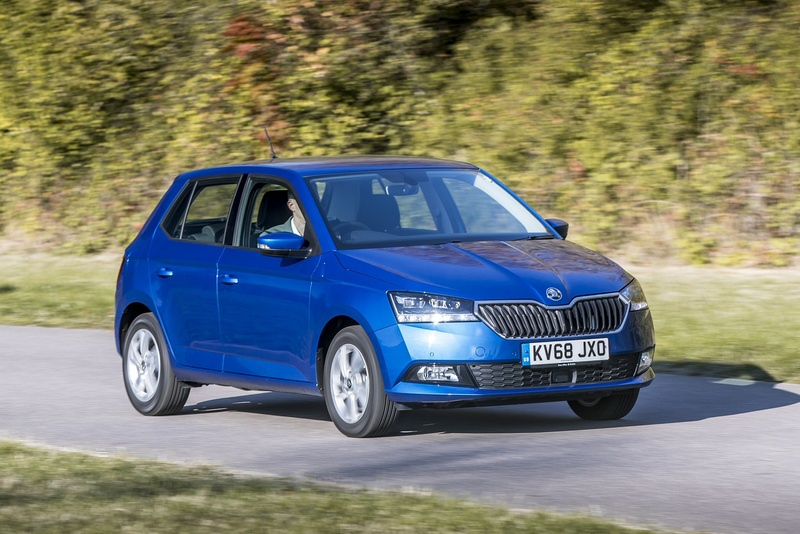 Skoda has upped the ante with this improved version of its third-generation Fabia, introducing sharper, more assertive styling and clever tech that has been bringing down the average age of its customers. With plenty of space inside and improved levels of safety and media connectivity, the Fabia seems to be getting the basics spot on these days and further benefits from the introduction of an impressive 1.0-litre TSI entry-level powerplant. The Skoda Fabia surprised most people when the first generation version arrived back in 2001. After all, it succeeded the wholly unlovely Felicia and so a rating of 'only slightly rubbish' would have been a soaring success. In fact it was a little gem, well built, economical and keenly priced. It helped kick-start the success of modern Skoda as we know it today. The second generation version launched in 2007 and brought additional sophistication, which meant that the bar was set a lot higher for this MK3 model which was announced late in 2014. It still exceeded expectations though, bigger and more sophisticated than before. 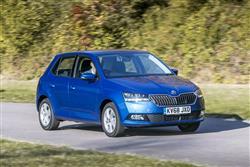 One of its few weaker points was the 1.2-litre TSI petrol engine that accounted for the majority of sales, but Skoda has now sorted that issue by dispensing with that powerplant. 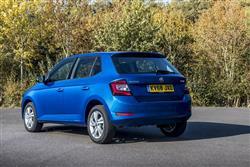 In its place is an altogether more modern three cylinder 1.0-litre TSI unit, available with either 95 or 110PS. 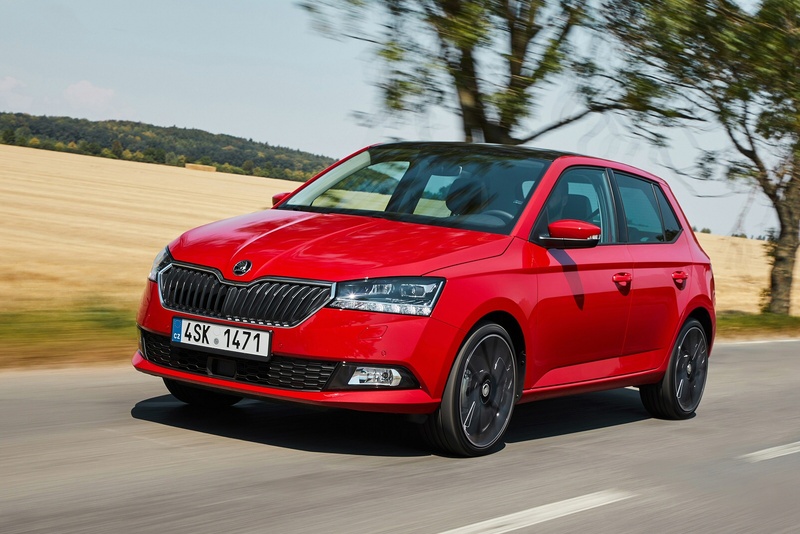 Because this is merely an update of an existing design, this revised MK3 Fabia doesn't get the Volkswagen Group's latest MQB A0 platform, as used by its cousins, latest versions of the Volkswagen Polo and the SEAT Ibiza. Its older MQB chassis is still quite sophisticated though and to it can be bolted the same engines as you'd find in the two rival models just mentioned. 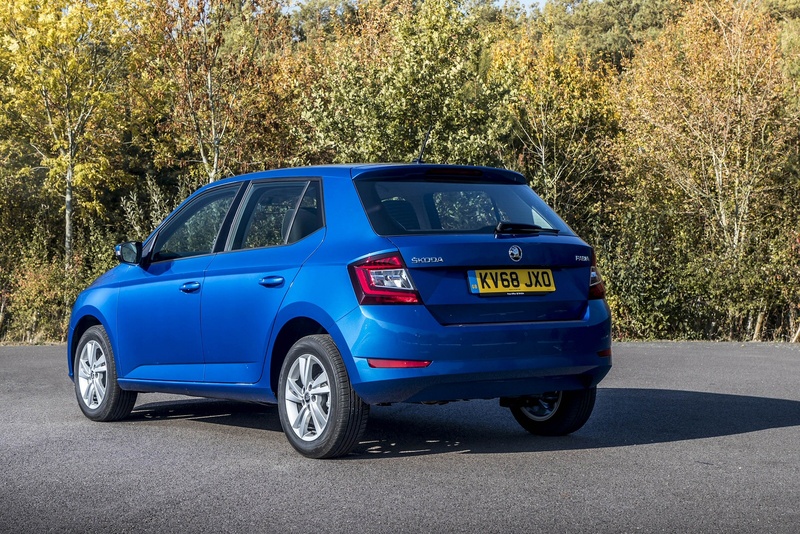 All of these units are now three cylinder petrol-powered engines, Skoda deciding that the market for diesels amongst supermini buyers is now defunct. There's a base 75PS 1.0-litre MPI normally aspirated powerplant, but the engine to have, if you can stretch to it, is the 1.0-litre TSI turbo, available with 95 or 110PS. 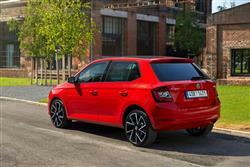 The perkier unit can be matched with 7-speed DSG auto transmission. Even the base TSI variant gets to 62mph in 10.6s en route to 115mph. The pokier version improves these figures to 9.5s and 122mph. 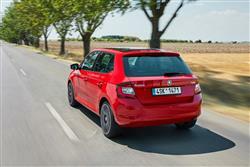 On the move, Skoda has worked hard to endow the Fabia with a supple ride, decent body control and low-effort steering. Once you've made the right engine choice, you'll get yourself undemanding transport that on occasion can offer up a few driving rewards. Despite the addition of an XDS+ electronic differential system that aids corner turn-in, these benefits won't really manifest themselves if you're the kind of person who likes to drive on your doorhandles. But then if that's your preference, you probably wouldn't be looking at a Fabia in the first place. 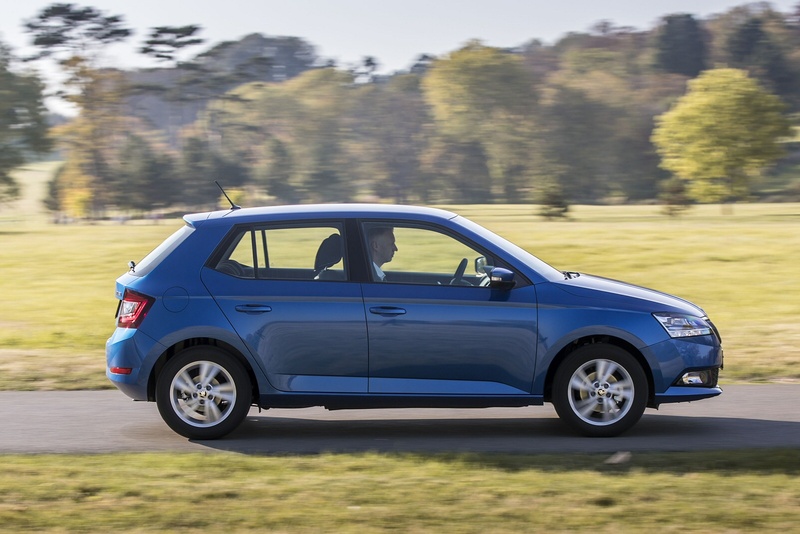 The Fabia's changed - but certainly not beyond recognition. Front and rear design updates deliver a smarter appearance and there are more stylish wheel designs of up to 18-inches in size. Shaplier headlights and front fog lights with sleeker outlines and state-of-the-art lighting technology also freshen up the look, LED headlights and LED rear lights being offered for the first time. Inside, there's a redesigned instrument cluster, smarter trim strips for the dashboard and two-tone finishes for the seats to update the interior. As before, there's a five-door Hatch bodystyle, or an Estate with a class-leading 530-litre boot capacity. With the Hatch variant, the boot is also the largest within the car's segment at 330-litres and the loading area is 960mm wide. With the rear seats folded down in Hatch models, loading capacity increases up to 1,150-litres. To help make good use of the room on offer, there's are various load-securing nets offered as part of the optional 'Simply Clever' practicality package. Plus there's a two-position luggage compartment shelf that'll keep fragile items off the boot floor. And folding hooks to stop your shopping from spilling out of its bag on your way back from the supermarket. All passengers get impressive levels of headroom by supermini standards. Do rear seat folk have to pay for all that cargo capacity we mentioned? Not really. This was always one of the very few superminis in which three fully-sized adults could just about sit alongside each other - at least for short journeys. It still is. Try doing that in a Fiesta. There's a choice of either five-door Hatch or estate bodystyles. There are five familiar trim levels; 'S', 'SE', 'SE L', 'Monte Carl'o and 'Colour Edition'. 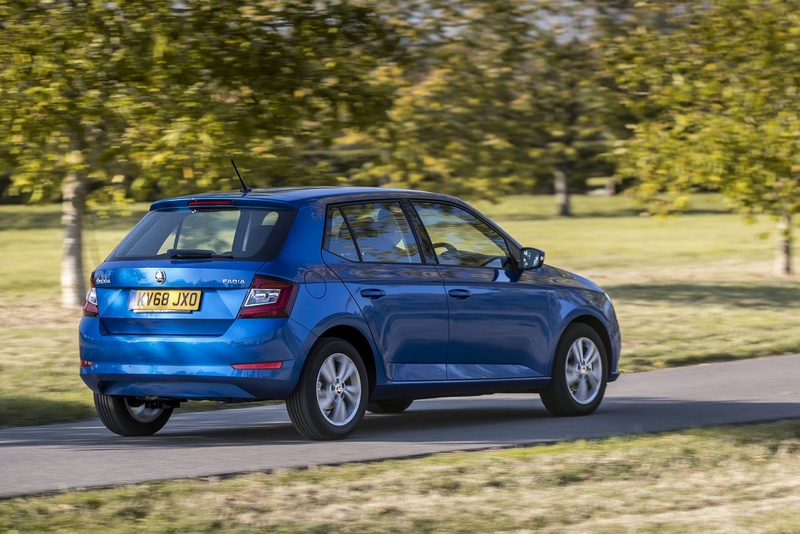 Prices start at around the £13,000 mark, so though this Fabia is no longer a huge bargain amongst superminis, it's still very well priced. There's a £1,000 premium if you want the Estate. 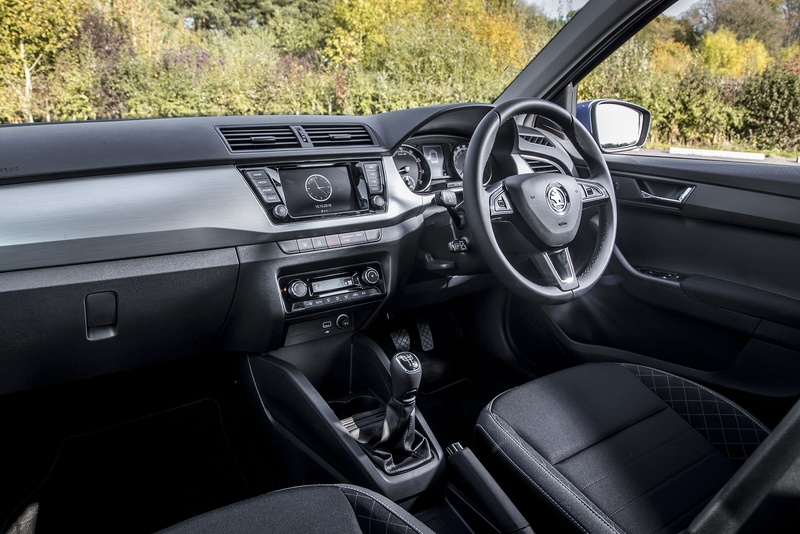 A key improvement made to this revised model is the addition of the brand's 'Swing' centre-dash infotainment monitor, a 6.5-inch display that also allows drivers to use the full range of mobile online services from 'Skoda Connect'. The 'Connect' package consists of two things; 'Infotainment Online' gives you online traffic information and can update you on things like fuel prices, parking spaces, current news and weather. Then there are the so-called 'CareConnect Services' which allow you to monitor your car from your smartphone, plus the set-up includes a breakdown call function and will automatically alert the emergency services if the airbags go off in an accident. 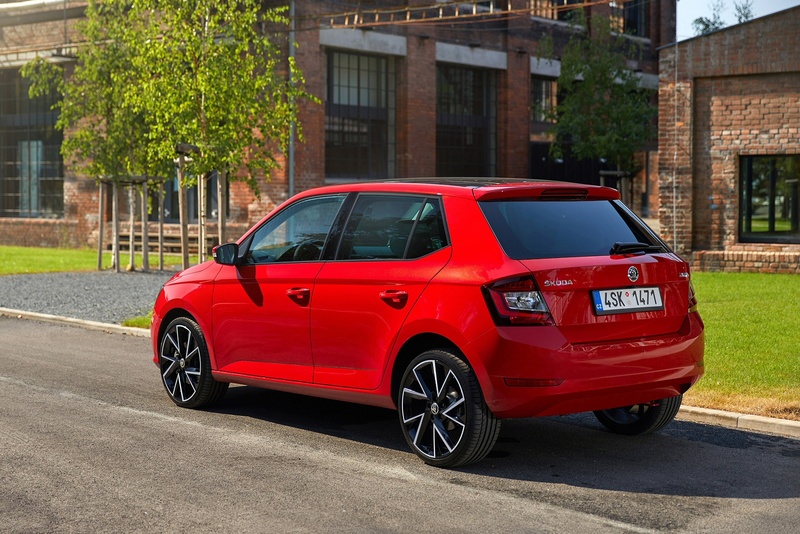 Further up the Fabia range, buyers are offered the more sophisticated 'Amundsen' navigation system, which features an Online Traffic Information service with real-time information on traffic hold-ups. Meanwhile, innovative SmartLink+ technology makes it possible to enjoy all the benefits of the Apple CarPlay, Android Auto, MirrorLink and SmartGate standards. There have been some safety additions too, including Blind Spot Detection and a Rear Traffic Alert system that monitors what is going on behind the vehicle and warns of a risk of collision when reversing. Another newly available feature is Light Assist, which automatically switches to low beam as soon as the system detects oncoming traffic or vehicles ahead. 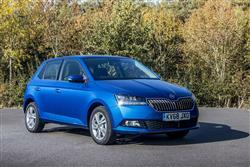 If you�re looking for a new SKODA Fabia 1.0 TSI Colour Edition 5dr Petrol Hatchback for sale, you�ve come to the right place. 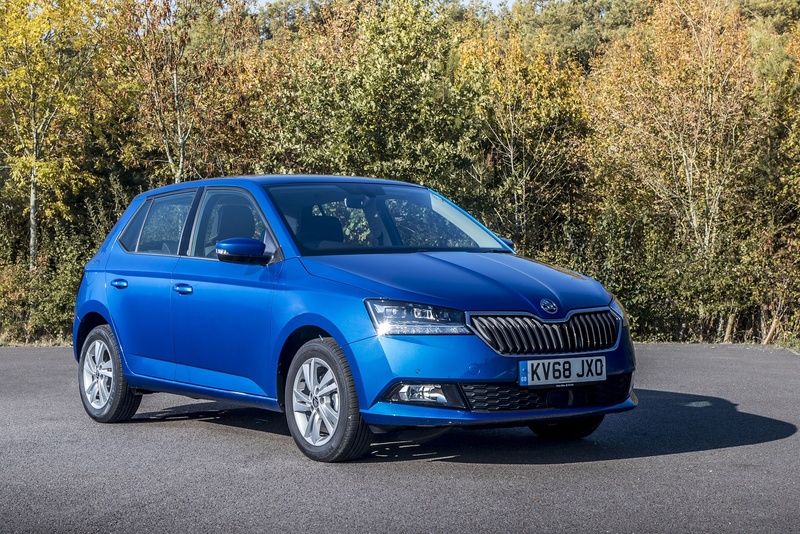 At Bristol Street Motors we don�t just have the best SKODA Fabia 1.0 TSI Colour Edition 5dr Petrol Hatchback deals, we also offer friendly advice and help with all your enquiries to ensure your buying experience is a happy experience.